Always consult a qualified solicitor about your case and under no circumstances wholly rely upon information on this web site when making decisions about what to do about your claim. The material on this Web site is for general educational purposes only and does not in any way constitute legal advice. 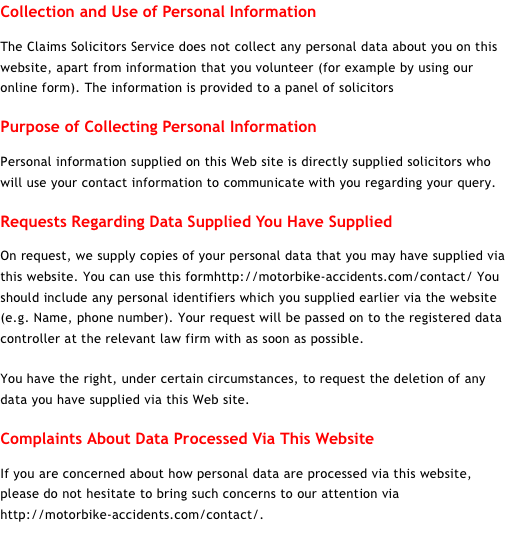 This site contains forms to request a call back from a solicitor for legal advice. 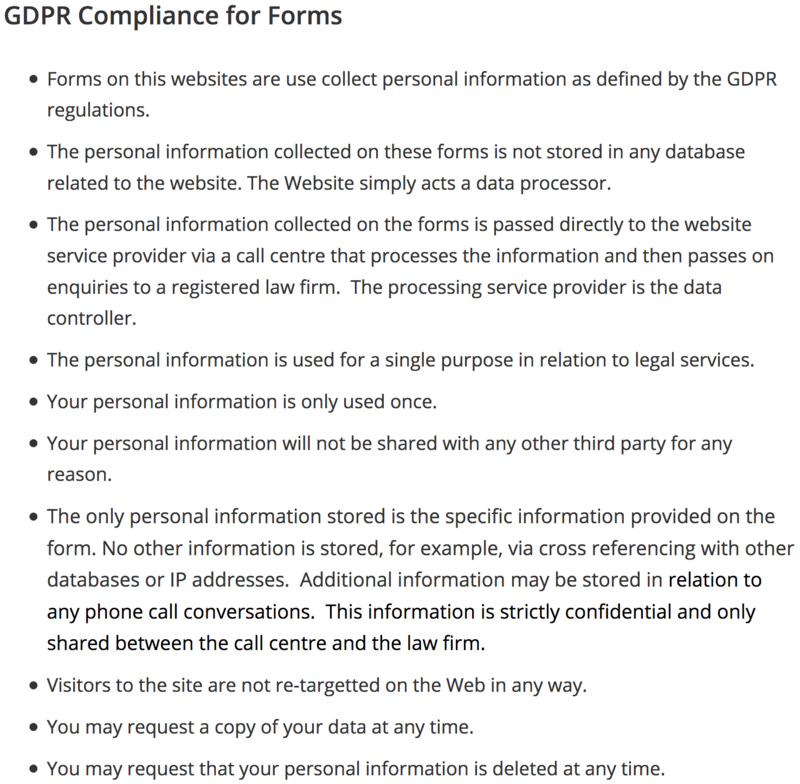 None of the information collected in these information forms is stored in any sort of customer or marketing database. 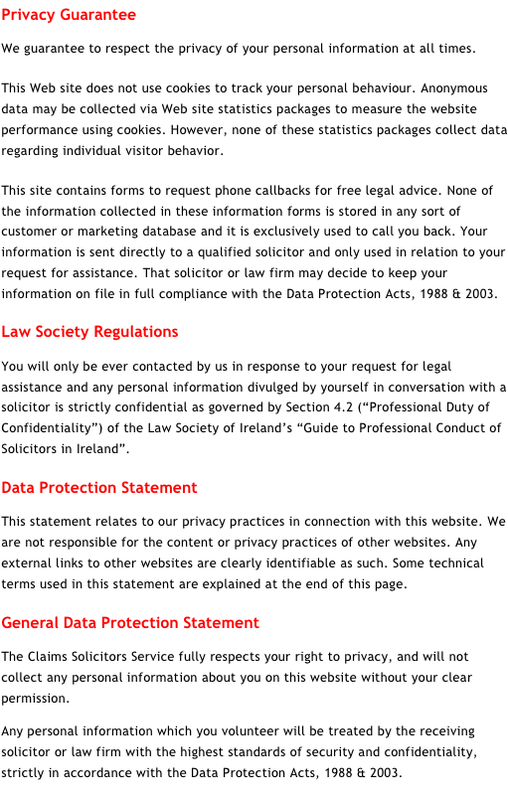 We guarantee to respect your privacy at all times and no one but a solicitor will contact you. Talk to us now by calling our free phone line or by filling in our call back form.